Is Crispr Therapeutics Stock Grossly Overvalued? 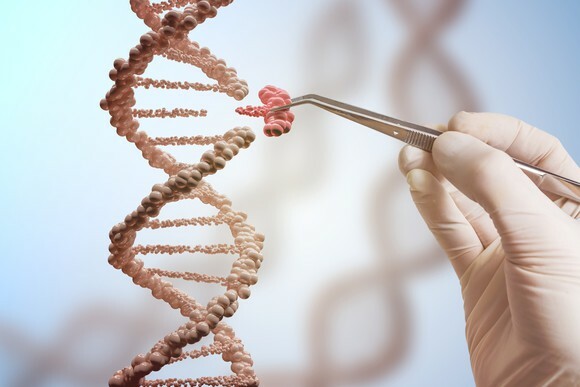 Despite a wave of bad news for gene-editing companies employing the CRISPR/Cas 9 system as of late, shares of Crispr Therapeutics (NASDAQ: CRSP) have performed remarkably well this year. At the time of writing, for example, Crispr's stock has exactly doubled in value since the start of the year. While the biotech's shares are well off of their 52-week highs, Crispr's current $2.2 billion market capitalization might still be overly stretched. 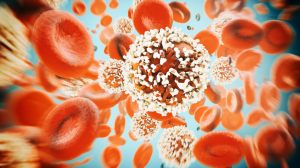 Thanks to a clinical hold on the biotech's autologous gene-edited hematopoietic stem cell therapy CTX-001 by the Food and Drug Administration (FDA) last May, Crispr remains a highly speculative pre-clinical venture at this point in time. In fact, the biotech's marked decline over the past month (down 25.9% since July 9) might be a sign that Mr. Market has recognized this putative mistake. With this brief background in mind, I think it's high time to mull over whether Crispr deserves this premium valuation, or if investors should look elsewhere for more compelling opportunities. So, without further delay, let's consider the facts. I don't think Crispr's valuation is unreasonable because the company's pipeline is targeting some rather big game, and the company has partnered with biopharma heavyweights Bayer AG (NASDAQOTH: BAYRY) and Vertex Pharmaceuticals (NASDAQ: VRTX) to help finance this ambitious endeavor. Crispr and Vertex, for instance, are attempting to get CTX-001 into human trials before the end of the year as a treatment for rare blood disorders beta-thalassemia and sickle cell disease. Each of these indications could easily generate hundreds of millions of dollars in sales. And the company's broader pipeline -- which aims to tackle numerous hard-to-treat diseases like Duchenne's muscular dystrophy and blood-based cancers -- offers shareholders a shot at some truly titanic revenue streams further down the road. Crispr also formed a joint venture with Bayer to develop novel treatments that could potentially cure various blood disorders, blindness, and congenital heart disease. That's an extremely bold business move, but it might pay off handsomely if this gene-editing platform lives up to its potential. As an important offshoot, these partnerships have bolstered Crispr's balance sheet in a big way. Normally, clinical-stage biotechs struggle to secure financing on favorable terms, leading to value-destroying loan agreements and serial dilution. Crispr, on the other hand, has been able to rely on its partnerships with Vertex and Bayer to help build its healthy nest egg of $319.7 million in cash. That amount should be sufficient to fund the company for the next 24 months, which is a fairly lengthy cash runway for a pre-clinical stage biotech. On the flip side, Crispr's platform has yet to be validated in any real form or fashion in humans -- that is, unless you are willing to accept China's CRISPR human trials as solid proof of the platform's safety and efficacy. Regulators in the U.S. apparently aren't convinced by the Chinese advancements in the realm of CRISPR, though. 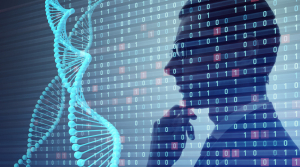 With a steady stream of journal articles coming out in recent months questioning the safety of CRISPR/Cas9 gene-editing in humans, the FDA seems content to sit on CTX-001's Investigational New Drug Application for the moment. This hold is now entering its third month, and Crispr hasn't provided much in the way of guidance on when it might be lifted. The blame for this regulatory delay shouldn't necessarily be laid at Crispr's doorstep, though. The FDA is the gatekeeper in this case, and the agency doesn't seem intent on opening the floodgates to CRISPR/Cas9 human trials quite yet. This particular gene-editing approach, after all, is brand-new for the most part, so it's not all that surprising that the first company-sponsored human trial is taking longer than expected to get under way. At the same time, I do find it telling that Celgene Corporation (NASDAQ: CELG) and Gilead Sciences (NASDAQ: GILD) have both backed away from CRISPR-based systems to some degree. Celgene was initially a big buyer of Crispr's stock, but this top biotech has been unloading its holdings for a while now. Gilead, on the other hand, decided to go with the less-efficient and more labor-intensive zinc-finger nuclease approach to gene-editing in order to bolster its blood cancer franchise. It seems Celgene and Gilead both seem to have their doubts about this initial version of CRISPR gene-editing systems. The jaw-dropping commercial potential of CRISPR/Cas9 gene-editing systems is indeed for real. As such, Crispr's current valuation may end up looking like a misprint 10 years from now. Nonetheless, the questions about the safety and efficacy of this novel platform can't be answered until human trials in the Western hemisphere get under way in earnest. However, regulators don't appear to be all that eager to let the necessary trials commence. What does this all mean in terms of Crispr's valuation? The long and short of it is that the market doesn't appear to have the information necessary to operate efficiently in this case. Stated simply, Crispr's current valuation could be way too high, or far too low. No one will know for sure until more data is available. Given the high degree of uncertainty surrounding this pivotal question, I think investors may want to proceed with caution toward this promising, yet highly speculative biotech until the next chapter of this story is written. George Budwell owns shares of Celgene. The Motley Fool owns shares of and recommends Celgene and Gilead Sciences. The Motley Fool owns shares of CRISPR Therapeutics. The Motley Fool recommends Vertex Pharmaceuticals. The Motley Fool has a disclosure policy.